I asked someone the other day which Rolex model she had on her wrist. I knew perfectly well which model it was, but I was in the mood for some watch banter, so I asked anyways. To which she proudly replied, “A Rolex Oyster Perpetual Datejust.” “Oh,” I said, “A Datejust, that’s a great model.” She quickly corrected me and repeated with extra emphasis, “No, no, it’s a Rolex Oyster Perpetual Datejust.” I smiled and nodded in agreement, completely understanding that a watch that iconic deserves to be called by its full official name. A Datejust is not simply just a watch. It is something else. Taking inspiration from that proud Rolex owner, let’s investigate what the Rolex Datejust label on the dial really means. While Hans Wilsdorf officially founded his company in 1905 in London, it wasn’t until 1908 that the famous Rolex name was established. According to official company history, Wilsdorf wanted a name that was short, easy to remember, simple to pronounce in any language, and aesthetically good-looking when stamped on products. A marketing genius if you ask me. After unsuccessfully coming up with over a hundred names by randomly combining letters, Wilsdorf claimed: “A genie whispered ‘Rolex’ in my ear.” Genie or not, there’s certainly magic in that name. 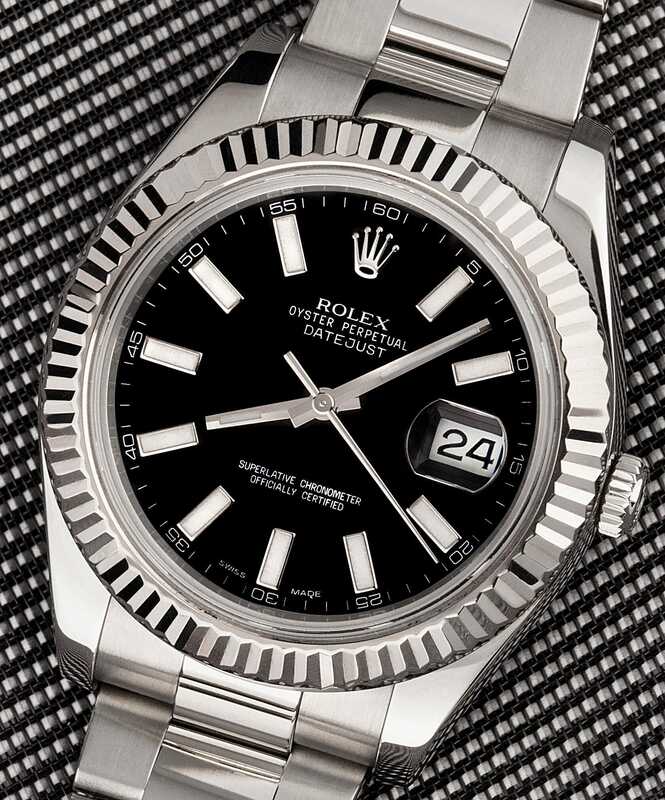 A Rolex Datejust Turn-O-Graph “Thunderbird” ref. 116264. With an emphasis on “Rolex”. Not only does Rolex consistently rank as one of the world’s most valuable brands, but in 2017, the company was named the most reputable company on earth for the second year running. In 1926, Rolex made history by creating the world’s first waterproof wristwatch. Aptly dubbed the “Oyster” case, the watchcase was as watertight as the mollusk it was named after. A year later, Rolex sought to prove just how waterproof this wristwatch was by teaming up with Mercedes Gleitze. When Mercedes Gleitze made her historic 10-hour swim across the English Channel she wore a Rolex Oyster. At the end of the event, the watch remained intact and Rolex took out an ad to announce the feat. A historic 10-hour swim by Mercedes Gleitz proves that a Rolex will work perfectly underwater. Today, Rolex still uses the famous hermetically sealed Oyster case on its watches. Carrying on that legacy, the minimum water resistance you’ll find on a Rolex Oyster watch is 330 feet (100 meters). Now that we’ve established the “Oyster” portion of the Rolex Oyster Perpetual Datejust, let’s move on to “Perpetual”. In 1931, Rolex made waves again by debuting the first self-winding watch movement with a Perpetual rotor. This Rolex invention boasts a half-moon oscillating weight that rotates freely in all directions. As a result, wearing the watch means the rotor keeps the mainspring constantly wound, thus powering the watch with consistent energy. Keep in mind that this very architecture is at the core of almost every automatic wristwatch today. 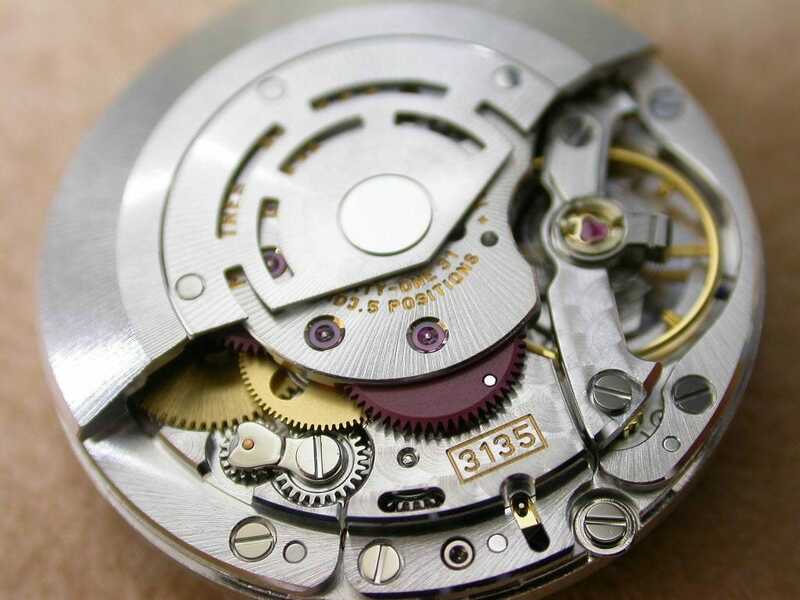 This is the inside of a Rolex watch. Can you see the oscillating weight? 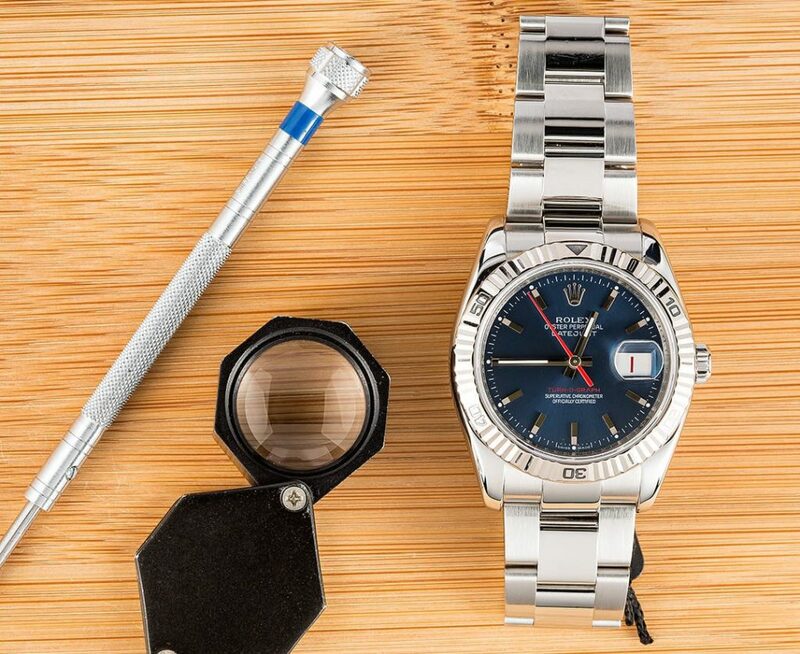 Although during Rolex’s history there have been some manual-wound movements as well as some quartz calibers, today, all Rolex watches run on automatic mechanical movements. Furthermore, they are all created in-house and are COSC certified. Rolex? Check. Oyster? Check. Perpetual? Check. Now we come to the “Datejust” section of the Rolex Oyster Perpetual Datejust name. In 1945, the first Rolex Datejust was born. It was in fact, it was the world’s first automatic wristwatch to display a date window. That first Datejust came out to in 1945. 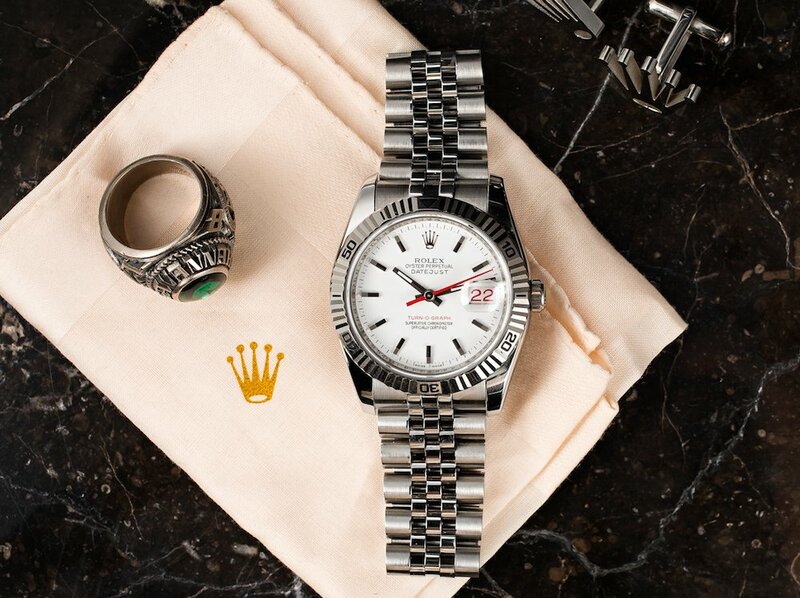 Over seven decades later, that iconic Rolex watch remains the flagship model of the brand. 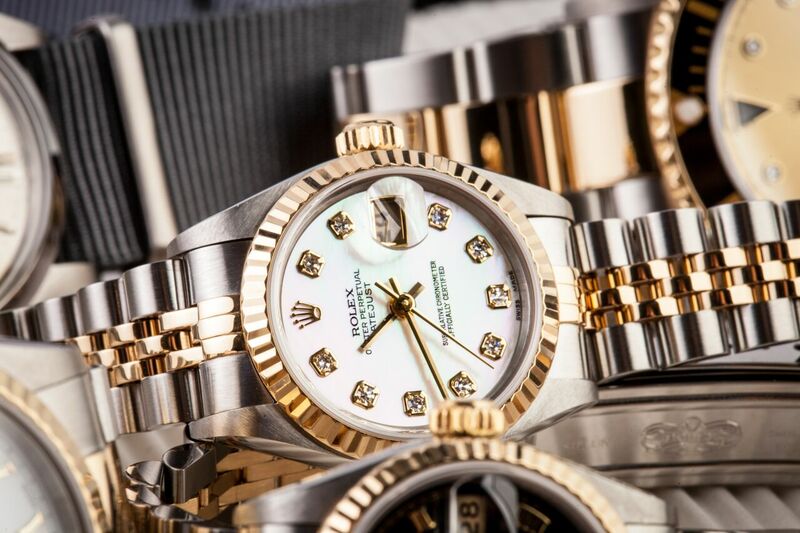 You can’t get more Rolex than the Datejust. As it happens, the Lady-Datejust—the very watch I asked about—is the top-selling Rolex watch model, ever. A fact not confirmed by Rolex, but pretty much accepted by everyone else. Given that the model I inquired about on that lady’s wrist had not one, not two, but three world firsts, she had all the right to insist on calling it by its full name. I stand corrected, it’s not just a Datejust, it’s a Rolex Oyster Perpetual Datejust indeed.